Looking to elevate your style with the new year? Your Master Bedroom can be a great place to start. Adding new furniture and accents can go a long way in upping your decor game. Find your style, add coordinating pieces, and enjoy the luxury of shopping from home. Check out a few of our favorites, all linked below! Alexa Bed Set from West Elm adds beautiful wooden texture, class, character to any master bedroom. Pair with white bedding for a clean look! Shop this headboard + bed frame HERE! This Jayden black metal frame is simplistic, modern, and timeless. Pair with neutral throw pillows, textured bedside tables, and warm lighting for a catalog-worthy bedroom. Shop this headboard + frame HERE! Velvet Erin Upholstered Bed is great for when you're up late engulfed in a great book, and leaning on the comfortable headboard. The classy, sophisticated, vintage look will complete the perfect Master Bedroom. Shop Velvet Erin Upholstered Bed Headboard + Frame HERE! This Pottery Barn Farmhouse Glass Hood is beautiful for any flush lighting. Pottery barn offers the base in brass, nickel, or bronze styles. Looking for bedside light, but don't have the luxury of lots of beside table space? Shop this Wall Sconce HERE! When you first wake up in the morning, and you're stumbling to the bathroom, you want to make sure your toes are comfortable on a nice rug! This Ryland Rug offers a beautiful pattern, neutral colors, and cultured 3D texture. Shop this Serena & Lily Ryland Rug HERE! Looking for a good pop of color? I love this Heirloom Wool Rug from West Elm. Who's says to have a modern and updated bedroom, you have to only use neutral colors? Shop this Heirloom Wool Rug HERE! One of my best kept "secrets" is Urban Outfitter's home selections. Their rugs are always trendy, good quality, and unique! I love this Wyatt Woven black rug. It offers great contrast and a modern, timeless touch to any bedroom. Shop the Wyatt Woven Rug HERE! I believe any + every bedroom needs to offer a nice place to sit and talk. This Joybird Bradshaw Chair can accomplish just that. The seat + back comes in over 60 colors! As one of the most recommended accent chairs on the internet, it's no surprise how versatile it is. Shop this Jaybird Chair HERE! Looking for something more classic? I love this option from Overstock - Aurla Mid-Century Fabric Accent Chair. Shop this Aurla Chair HERE! Very few bedside tables can make me weak in the knees, but this is one of them. Anthropologies's Handcarved Albaron Nightstand has so much character, offers all the function you'd need, and is absolutely beautiful. and is timeless all-over again. Shop the Bethany Chest HERE! The World Market Acorn Wood Brewton Dresser has amazing wooden texture, offer's a mid-century appeal, and a clean silhouette. The crowning glory on any Master Bedroom renovation, is the bedding. Cozy Earth has over 4,000 5-Star reviews, is one of Oprah's Favorite Things, and is the softest bedding you've ever felt - guaranteed. 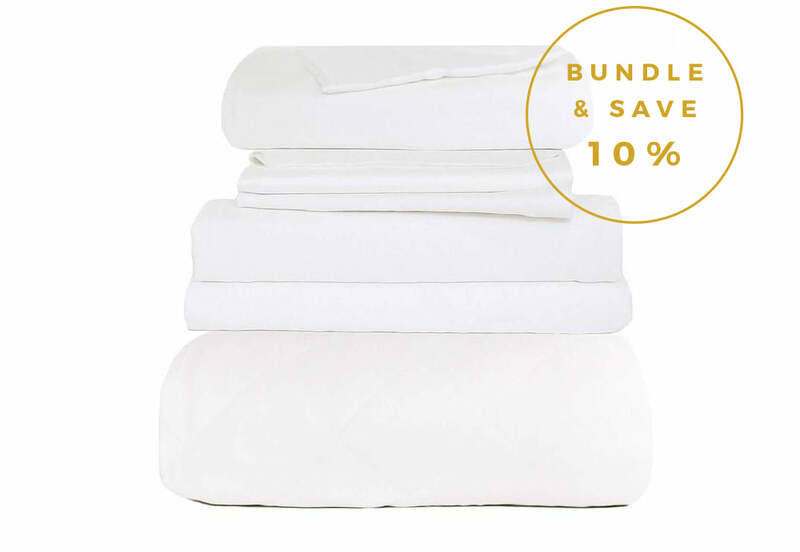 Shop Cozy Earth's sheet + comforter bundle's HERE!